Home › Social Media › Are Facebook Posts and Instagram Photos Truly Private? I spent much of my adolescence wary of the Internet. My parents were constantly warning me about the dangers lurking behind each and every web link, citing chain emails about child abductors who met their victims online or something they’d heard from our neighbor down the street who knew a girl who knew a boy who had heard about someone whose 15-year-old online friend was in fact a 40-year-old man in disguise. I was barred from what many may consider to be rites of passage for millennials growing up in the early 2000s: Myspace and instant messaging. Of course I assumed that my parents were simply intent on making my middle school existence miserable instead of seeing it for what it really was: parents attempting to guard their child’s privacy and keep her safe. Of course, at the time all I could think about were all of the cool backgrounds I wasn’t going to be able to use on my Myspace blog. Of course, my parents concerns weren’t completely unfounded. The Internet was (and still is) littered with men and women claiming to be someone other than who they really are — some undeniably intent on doing harm to unsuspecting victims. And while we have grown in our understanding of online safety and privacy, many of us still remain woefully under-protected. I think one of the biggest reasons for this is our inability to fully understand the privacy settings offered on each of the social media accounts as well as the inability to grasp just how easy it is for strangers to get a hold of our information. The social media site with perhaps the most notorious privacy settings is Facebook. While I believe that it is an individual’s responsibility to take the time to understand the features on their accounts, Facebook was known for its confusing privacy settings. Recently, however, the social media giant has taken steps to create a more secure environment for its 1.28 billion users (as of March 2014). It used to be that when an individual created an account, anything that they posted to the site (pictures, status updates, etc.) were automatically set to “Public,” meaning that anyone could access the information. New users are now set to display their information to “Friends” by default, which is probably what many would prefer to begin with. I read a number of articles from about two months ago about Facebook’s plans to prompt users to check their privacy settings with the privacy checkup tool. 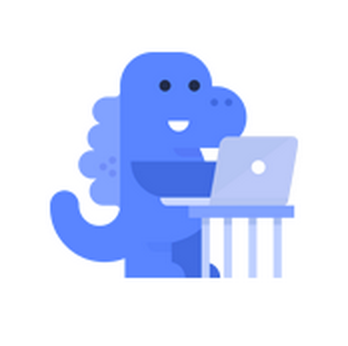 It appears as a popup with a blue dinosaur (affectionate named Zuckasaurus by the New York Times) on your screen. Granted, I’ve yet to see this little blue guy pop up on my screen, but I’m sure that like most Facebook changes, it’s slowly being rolled out to the public in small doses. Of course, all of this talk of privacy settings seems incredibly obvious, and perhaps now it is. And maybe our inability to properly create adequate privacy settings doesn’t stem from a misunderstanding of them, but rather our unwillingness to take the time to check out just whom we’re sharing our vacation photos with. I think the best thing for anyone to do it to simply log onto Facebook, click on the lock icon in the upper right-hand corner, and take a hard look at his or her privacy settings. Maybe they are exactly where you want them—but it never hurts to double check. But even when we are careful about our privacy settings, we can still put ourselves at risk by posting sensitive material online. For example, if you share a picture to our friend group on Facebook or Twitter, a friend could share or retweet that photo to their own friend group, which could contain people you don’t know. Now granted, that’s not usually a big deal. Maybe you posted a picture of you and your friend Maddie out at the beach, and then Maddie decides to share it with her friends or followers. No big deal, right? Probably. But what if you post a picture of you and your friend out at a wild party, intending only to share it with a small group of friends on Facebook, but someone shares it and your boss sees it? That could spell some serious trouble for you back at the office. Or maybe you accidentally post a picture, only to quickly delete it. Usually, this can go unnoticed. But if someone is fast enough (and terrible enough), they can screenshot the picture or status and share it without your consent. This actually just happened with the U.S. Environmental Protection Agency’s Office of Water. An employee who runs the Twitter account accidentally allowed the Kim Kardashian: Hollywood game to post a status update to the account, alerting the office’s 52.5k followers that they were now a C-List celebrity in the game. Though the tweet has since been deleted (and handled with grace and humor, I might add), its screenshot has been shared countless times across the Internet. And of course, this isn’t really all that bad. Sure, it’s a little embarrassing for the EPA, but all in all it’s not really a big deal. But what if you accidentally posted compromising photos of yourself—or worse, a former significant other did? Even if they are taken down, it’s impossible to know how many people may have seen them or how many screenshots may have been taken. This is perhaps a problem more prevalent amongst teens, but adults are at risk too. There may be times that something such as this would be totally out of your control, such as with a vengeful ex or angry friend. I guess the only thing I can really say on the matter is to always make sure that you’re aware of what you’re posting and who you’re posting it to. Another thing to be wary of in terms of privacy are the random people trying to friend or follow you every day. Sometimes, these are people who simply want to expand their follower base and follow people on Twitter and Instagram in the hopes of gaining a follow-back. Other times, they are computer-generated accounts created by someone in an attempt to gain as many followers as possible. If your account is private, you have the ability to reject their friend or follow requests, and that’s usually the end of the story. However, if your Twitter or Instagram account is public, you simply get a notification when they follow you. If you’re safe about what you post (ie. you keep things appropriate), you should be fine. However, if you’re gainfully employed and tweeting about your awful boss—short of just keeping your rants to yourself—you should probably make your account private. I had a professor warn my class last year about a student who was applying for graduate school and jokingly made a tweet about wanting to go to a school out in California so that she could become a trophy wife. While the tweet was posted in good fun, because her Twitter was public, the university ended up seeing it…and responding. Basically, the university wrote back and told her not to bother applying if she wasn’t serious about her education. Now, I know that the chances of your tweet aimed at a specific institution or celebrity being noticed is slim, but as this young woman proved, it is possible. Even if your post is meant as a joke, not everyone will take it that way and it may reflect poorly on you. Perhaps one of the biggest examples of this was the tweet by InterActive Corp’s communication director in which she wrote: “Going to Africa. Hope I don’t get AIDS. Just kidding. I’m white!” She holds that the tweet was a joke, but the damage was done. Though her account has been deleted (and her employment terminated) her tweet continues to live on in the Internet. Always think before you tweet. But all this isn’t to say that everyone should just never use social media, or if they do, they should keep everything private. It’s difficult to cover all fronts and still remain accessible online. Too many times I’ve tried to reach out to individuals on social media only to be unable to find their accounts because of their strict privacy settings. The key is to always be aware of your privacy settings and to be smart about what you post. As my mom always says, if you have any doubts about posting something, perhaps it’s best not to post it at all.